Man. 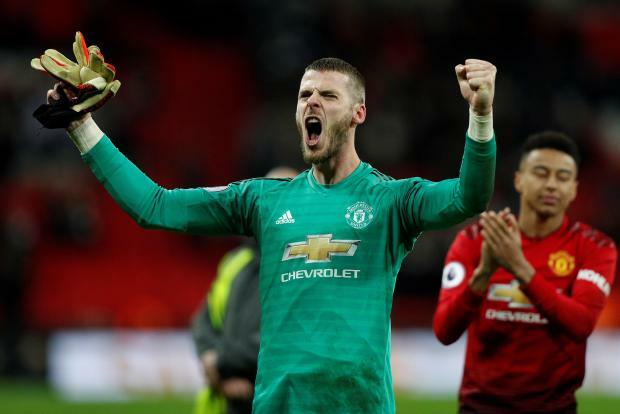 United's David De Gea celebrates the win over Tottenham after goalkeeping masterclass. United, with Lingard, Anthony Martial and Rashford racing forward at every opportunity, looked dangerous and moments before half time, Lingard cut out a careless cross-field ball from Kieran Trippier and nudged the ball to Pogba, who had time to look up and measure a raking cross-field pass to Rashford, racing down the right.